Hello everyone. I just wanted to share my thoughts on your latest thoughts. I stopped by to say hello to the protesters at WYPR today. Some drove all the way from the Eastern Shore and Bel Air. I must say I am humbled by the outpouring. You all do love the soul of public radio. You get it. The staff at WYPR is fantastic. They have been really supportive to me personally. When I taped my Maryland Morning segment many staffers were watching, cheering me on. They know the truth. They have confronted Tony Brandon and Andy Bienstock in meetings. Asking tough questions of management is never easy but they have done it. They are advocating for you, the listener. I know many of them feel lost but I have told them to work. They have families to support and mortgages to pay. Some have refused sit in my place on the air. Despite the difficulties I have faced with sectors of the management and some of the board, it has been a joyous experience to work with the producers and staff at WYPR. They are as upset about all of this just as you and I are. As for management…are they trying to cancel the March 12th WYPR Board meeting, or are they just trying to discourage people from coming? Certainly all mention of it has disappeared from the WYPR website, where there was previously a message giving you a phone number to call if you wanted to attend. There are also reports they they are considering try to cancel the Community Advisory Board meeting on February 20th, despite the fact that the CAB is meant to be independently operated. I have also heard they on the verge of hiring a host for the midday show. So, we will see. While the truth squads will keep working, we are going to work on developing new programming for the web and for the radio. I would love to hear what you think you would like us to do besides keep up the good fight. What are your ideas? Keep letting them know what you think, show up on the 20th and let us know what you want us to do. I have to read everything your wrote today. I will be back, and we will be in touch by e-mail and blog to let you know our next steps. I just got an email that the Baltimore Business Journal is running a poll about whether Marc should have been fired or not. Even on that conservative site, the comments and vote are significantly against this move. I’m so sorry you lost your job. I hope our interview about MTR didn’t have anything to do with it. You know there was one man in northern WV who lost his job with NPR after doing several shows about MTR, the silo built at Marshfork school and Massey Energy. sounds like you’re not letting it get you down one bit! I’m glad you have encouraged us to start thinking about what to do from here… Being angry has its place… but it tears you down and stops being prodctive at some point ….We all know we can email, turn the dial , and vote with our Wallets regarding Brandon and WYPR. I really liked your “Just Words” segments on WYPR. Will you continue producing it? I think it would be kinda cool if you interviewed people fom all over the state…we could get an idea of the overall “health” of the state. Shows with an environmental focus would be great! I mean REAL hard-hitting reporting because if people knew what was really going on they’d be outraged. Trust me, there’s a LOT of stuff happening that’s not right and the people who are supposed to be protecting us aren’t doing anything of the sort. The problem is that people aren’t asking the right questions and they aren’t probing deep enough. So these are just a few ideas… I’m looking forward to hearing what you come up with! We all miss your voice. Thank you to everyone who signed the petition so far, at http://www.thepetitionsite.com/1/bring-marc-steiner-back-to-wypr. I posted a link to the minutes of the October 2007 meeting of the Community Advisory Board in a previous thread. Now that I pursue that link more carefully, I see that it actually is a CAB blog. Also, I see now that the February fundraiser has been rescheduled to April, dates not yet available. The “CAB blog” linky-link above doesn’t go where I wanted it to go, I don’t know why. The naked URL below it works, however. The Baltimore Business Journal reports Jessica Phillips’s move from WYPR to The Center for Emerging Media. I posted this to the CAB blog – thanks for the link. If anyone has any email addresses for the individual CAB members, would you please share them? See you tomorrow!! How do I become a member of the CAB? I would like to join and work for the interests of the community. I am involved with many others in what is becoming an organized community response to the firing of Marc Steiner. We would like to work with the CAB, which it seems was not consulted or informed about this decision by the BOD. We are meeting on Sunday, Feb. 10 to discuss strategy. It is obvious to us, and we hope to you as members of the CAB, that this decision had nothing to do with ratings or focus of Marc’s show, but rather had everything to do with ideological/political differences on the role of public radio. We feel certain that the content of Marc’s show is the other equally important issue and that content was consistently offensive to Mr. Brandon and probably some or all of the members of the BOD. Of course, this is unacceptable for a publicly-owned radio station. Mr. Brandon has, in our opinion, hijacked what is supposed to be – and is sold to the public in fundraising effots as – a community owned and operated radio station – for the benefit of the community which sustains it. We have learned that Mr. Brandon and certain members of the BOD feel that the 8 guarantors of the initial $5M loan are the owners of WYPR, not the public contributors. It has also come to our attention that Mr. Brandon is attempting to shut down the CAB of 2/20/08 and has “closed” the 3/20 BOD meeting and has removed the links to both from the WYPR website. Both actions are, as you know, illegal under CPB and FCC rules. We urge you to take action to prevent either meeting from being canceled and/or closed to the public. We also ask you to join with us to address this most serious issue that concerns not just us, not just Marc Steiner, but our entire city and state community. Thanks for catching my error, Jessica. ‘Preciate it. Can anyone ccome to your 2/10 mtg ??? If so where nnd at what time ??? I’m as stunned as everyone by this turn of events at WYPR. Of course the Mainstream Media (MSM) hasn’t offered much security in recent years, as anyone who used to work in newspapers knows. But I hadn’t considered WYPR to be MSM. Now they are claiming to be at the mercy of the ratings, like for-profit radio. I always considered you to be the best talk-show host in Maryland, and I hope you will find a new venue. This does give us pause to wonder again why arch-conservative talkers, like Rush Limbaugh and Ron Smith, seem to thrive in the ratings, but liberal or progressive talkers struggle. Perhaps with the right support, you could be the national progressive radio voice that many people have hoping would emerge. I hope you will look into that, if you have time. I know that voices like yours are needed locally. People who used to listen to you from noon to 2 p.m. may be able to pick up Kojo (and Jeannetta) at 88.5 from D.C. Kojo’s show is similar to yours, and Kojo and Jeannetta give some coverage to Maryland politics. I’ll be updating the link from my blog to your new blog soon as I sign off. Glad you are still on WordPress.com. Just wanted to mention that a couple of new studies have been released that are garnering a fair amount of media attention; the indiscriminate switch over to biofuels could actually exacerbate global warming. Funny, I already knew about that potential. How? Marc’s interview with George Monbiot last spring. “Too focused on Baltimore issues”, my *ss. Too much Baltimore? That sorry excuse sounds to me like herring gone bad. Where did it come from? I can imagine witless thumbsucking chit-chat artists trying to make reputations for themselves or trying to muddy the waters by using a rag-tag cover story like that, but does it have any connection to reality? Would anyone from the WYPR family float thay rationale? Well, perhaps someone would. Anyone stupid enough to fire Marc Steiner probably is capable of saying stupid things. I note, however, that sometime in the past week Maryland Morning went from three days per week to four days per week. If WYPR wants to engage its state-wide markets, a program called “Maryland Morning” sounds like the place to do so. I thought “Maryland Morning” was a great idea when it began, but Marc Steiner is not to be blamed for the fact that Sheila Kast has made the program into a sad time-waster. The program probably will go to five days a week someday, whoopee. Rumors have been propagated in the megaphone media, without discernible substantiation that I know of, about Marc being replaced by a program called “Statewide.” First note, if it happens, I hope the new program has no relationship or resemblance to “Maryland Morning”, enough insipid, mind-twiddling, time wasting already. 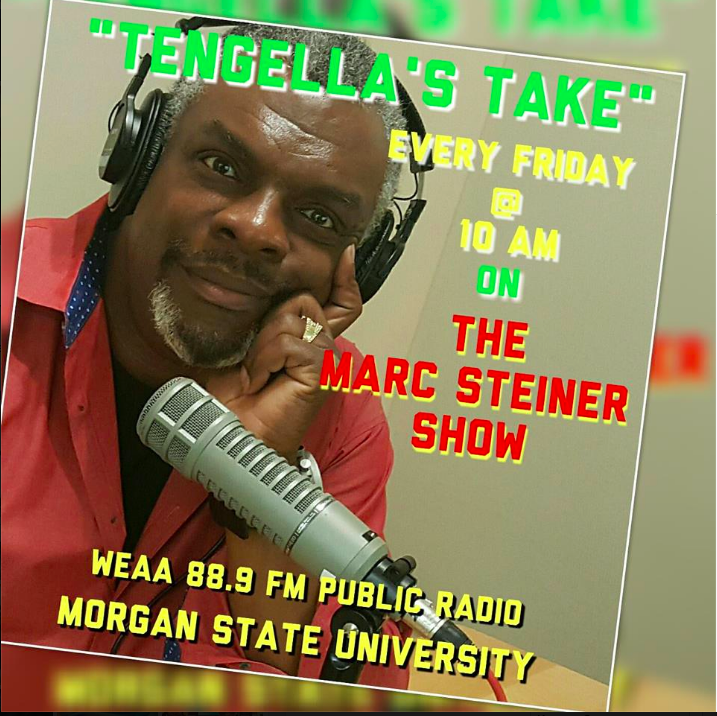 Second note, If WYPR powers see a need for a program called “Statewide” (don’t know why they would, they haven’t done anything useful with the program called “Maryland Morning”) It would have been better placed in addition to the Steiner Show, instead of in replacement of it. I am a sorry excuse for a writer. Herring gone bad doesn’t sound, it smells. Better? If you’re like me, it’s possible you’ve become a bit of a junkie for news about the Bizzaro World style decision by WYPR to let Marc Steiner go. Last night I made a list of all of local blog posts I could find dealing with Marc’s firing. Each entry below has the post’s title, a link and an excerpted line. This includes one poster that wasn’t in favor of Steiner per se, but instead what he represents. This is just to remind everyone here that we’re far from alone!! Marc, I miss your voice and your grasp of the issues and your community of callers…my $ follows you, so where ever you land, I’ll be a member. I just hope it’s not too long…I feel like I’m going through withdrawal or something. I’ve been listen to old podcasts! I just got an email from Alexandra Price regarding the March 12th Board of Directors meeting. Apparently they do not have a location for the meeting yet, but she says she will email with the information once they have it. I would suggest that everyone who wants to attend email her now, so they can’t give a “not enough space” excuse to exclude people later. Regarding future projects…. in addition to the ones already mentioned… I really enjoyed shows which covered environmental issues and in particular ways we can go green in our everday lives here in Baltimore… also heard the NPR (on WAMU) about how first generation bio-fuels are really not eco friendly. How they causing more crops and raiin forest to be cut in order to offset the need for human crop space… The show focused on some alternatives…. bio-fuel from algee and even using enzymes to break down trash for fuel… Would be great do do some shows or even develop a green resource list on your website. Also, if possible, could people stop trashing WYPR staff and other shows…criticism is one thing, meanness another…you have no idea what is going on inside the station and what people are trying to do. It gives a bad name to steiner supporters. I miss hearing your voice and your thoughtful interviews. I loved how you never let an interviewee off the hook if they were being shady and also, when you had friends on, how much they obviously adored you (like the woman who annually lists the best Christmas songs). I hope you’ll be back, if not on WYPR, then another station where we can enjoy your intelligent and informed insights. Intertesting … Rhonda, is that announcement going to made on tuesday or wednesday ??? Rhonda I think you’re barking up the wrong tree. It would be nice if what you are hoping for was right, but it’s not. It’s a new host they’ll be announcing sometime this week. I assume she meant the announcement would be made today, Tuesday. It might be the delayed fundraiser. Bah, I was pitifully hopeful that it would be something better, but at least even delaying the fundraiser means WYPR is feeling the heat. Guess we just have to keep it on. Thanks for the link, Jack. I went looking for this when I heard and was stunned that all mention had been removed. Not a very auspicious start for Mr. Rodricks.